The new rules are similar to, but more stringent than those Harris County put into effect Jan. 1. There, new homes built in neighborhoods developed before 2009 must be built one foot above either the ground or the crown of the adjacent street, whichever is higher. The county’s regulations change little for homes to be built in subdivisions developed more recently. See here and here for more on the county’s new floodplain regulations, here for a bit of background on the proposal that was passed, and here for an earlier Chron story that gets into some of the No-voting members’ resistance. No regulation is ever perfect, and I’m sure there’s debate to be had about what approach would have been best, but it sure seems a bit odd to me that at this point in Houston’s history that this kind of regulation wouldn’t be more broadly supported by Council. For those members who will be on the ballot next year – Knox, Kubosh, Le, and Travis – I’ll be very interested to see how this vote is received on the campaign trail. Pointing to the lawmakers’ 2013 adoption of a court-drawn map that was meant to be temporary, the groups chronicled the actions as “a ruse,” a “shellgame strategy” and a devious “smokescreen” meant to obscure discriminatory motives behind a previous redistricting plan. The legal fight between the state and its legal foes, which include several voters of color, has been churning through the courts since 2011. That was when lawmakers embarked on redrawing the state’s congressional and legislative districts to account for explosive growth, particularly among Hispanic residents, following the 2010 census. Those maps never took effect because Texas, at the time, was still required to get federal approval of changes to its political maps before using them in elections. A federal court in Washington eventually rejected the boundaries, ruling they violated federal safeguards for voters of color. 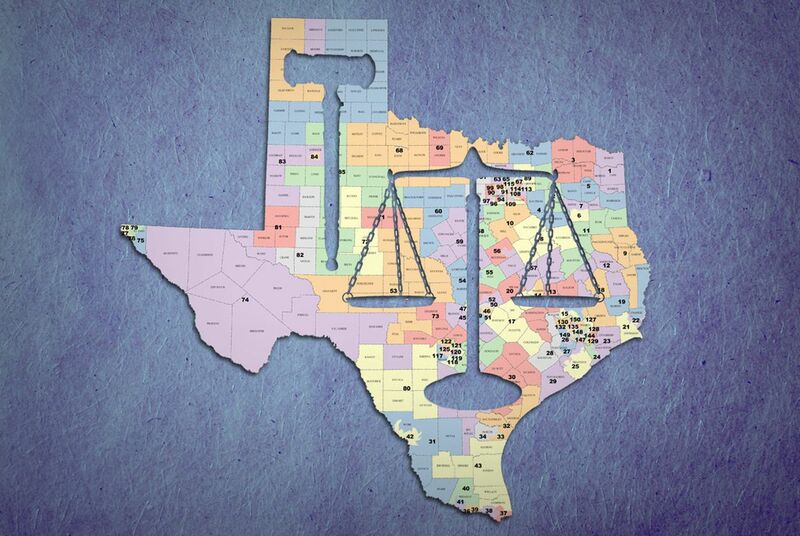 But by then, a three-judge federal panel in San Antonio had ordered up interim maps for congressional and state House districts to be used for the 2012 elections. The San Antonio court at the time warned that the interim maps were still subject to revision. But state lawmakers in 2013 adopted those maps as their own, with few tweaks. As noted before, oral arguments will be on April 24, so gird your loins and make sure children and pets are in safe places. I will remind everyone that there were actually two remedial maps produced by the three-judge panel way back in 2011. The first one, which was based on the previous decade’s pre-cleared-and/or-ruled-VRA-compliant-by-SCOTUS maps, was thrown out by SCOTUS on the grounds that the panel needed to defer to the new maps as drawn by the Lege as their starting point. Which the court did, and which it did without taking into consideration the VRA Section 2 claims on which the plaintiffs subsequently prevailed. As such, claims that the interim maps solved all the problems and should have been the end of the litigation are false. The maps had problems, which the courts ultimately found, and that’s even before we get into the “intent” question. Anyway. What happens from here is unknown. SCOTUS has had a busy term grappling with redistricting questions, but unlike the partisan-gerrymandering claims from Wisconsin and Maryland, this is old-fashioned racial discrimination/Voting Rights Act stuff. It’s also our last chance to remediate any damages before the next redistricting cycle. It would not be much of a win for the plaintiffs if we never get to have an election under non-discriminatory maps. Kevin Roberts already overcame a $6 million onslaught from self-funding multimillionaire Kathaleen Wall to keep his hopes of winning a seat in Congress alive. Now the Republican’s challenge is beating retired Navy SEAL Dan Crenshaw, a dark horse candidate who emerged from the primary election with surprising momentum. Roberts, 51, said he’s not intimidated as the May 22 runoff approaches in the GOP primary battle to replace U.S. Rep. Ted Poe in Congress and will stick to his strategy. But Crenshaw isn’t about to give an inch on that front either. Crenshaw, 33, has never held office but said he’s more than ready to put his nearly 10 years in the Navy up against Roberts’ political experience. Crenshaw said his time in the military taught him leadership skills, which he said are at the core of being a good public servant. Crenshaw said that experience gives him an edge over Roberts on foreign policy and national security issues. Crenshaw served in South Korea, Iraq and Afghanistan. In 2012, while on his third tour of duty in Afghanistan, a roadside bomb nearly killed him. He lost his right eye and medically retired from the Navy in 2016. On the one hand, I’m sure I speak for millions of Houstonians when I say I’m so relieved I’ll never have to see another Kathaleen Wall advertisement again. On the other hand, this runoff without Wall’s cartoon villainy is pretty much dullsville. I mean, these guys are about as compelling as unbuttered toast. Them’s the breaks, I guess. Anyway, eventually one of these guys will win the right to go up against Todd Litton, who I hope is busy raising more money right now. In the meantime, I’ll try to remember that this race exists.